American Thanksgiving, Black Friday and Cyber Monday have kept us busy over the last few days. If you’re in the U.S., your pants might need to be let out a smidge at the waist! And all of our wallets might need to be taken in. But we really should take a moment and remember the true spirit of this fall holiday—giving thanks. Why? Because today is National Day of Giving or #GivingTuesday. So, even though the meals and deals are complete, the celebration of generosity, good will, and giving isn’t over quite yet. Giving Tuesday encourages us to get in the holiday spirit, joining together with charities, companies and individuals to support our favourite causes. Have you heard of Warrior Pets and More? 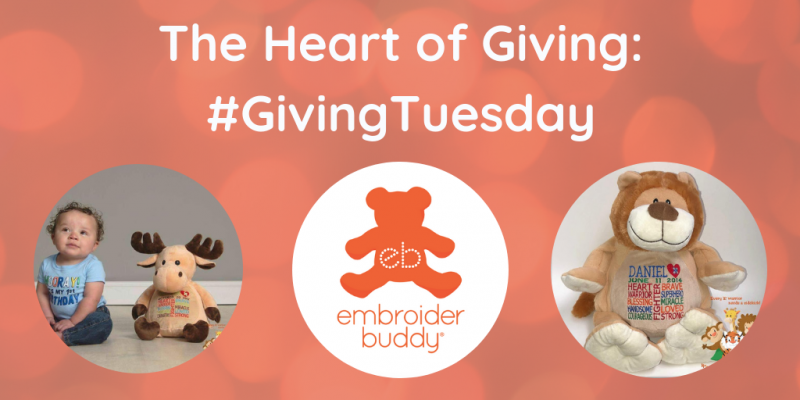 They’re an Embroider Buddy® ambassador who embroiders encouraging and comforting designs on Embroider Buddies for young children with congenital heart defects (CHD). 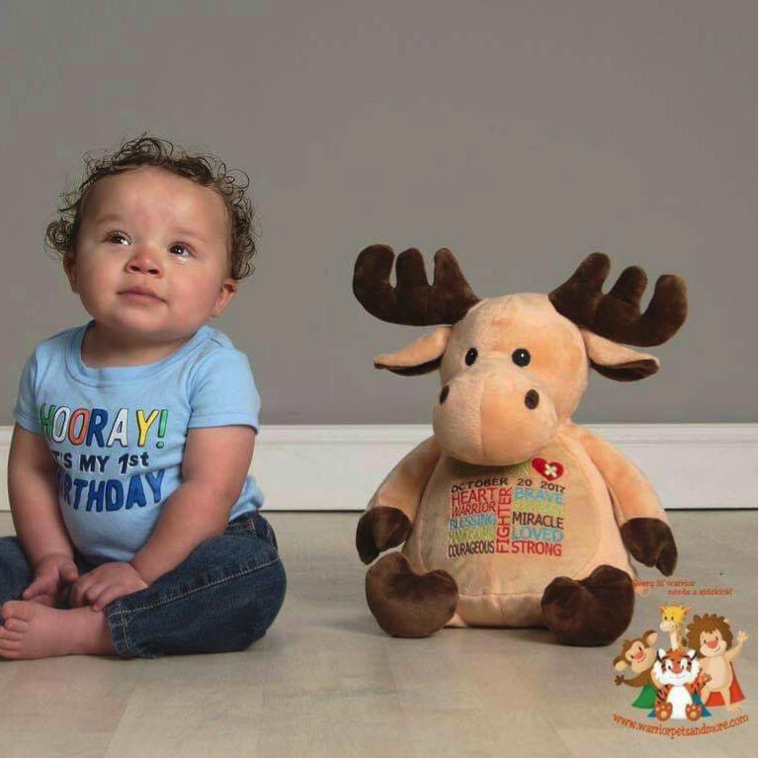 CHD is present at birth, and simply means heart or the blood vessels near the heart don’t develop normally before birth. There is no known cause, and the defect varies in its structure and severity. This means that even though some children may not require treatment, others may need medical care as serious as open-heart surgery or a heart transplant. 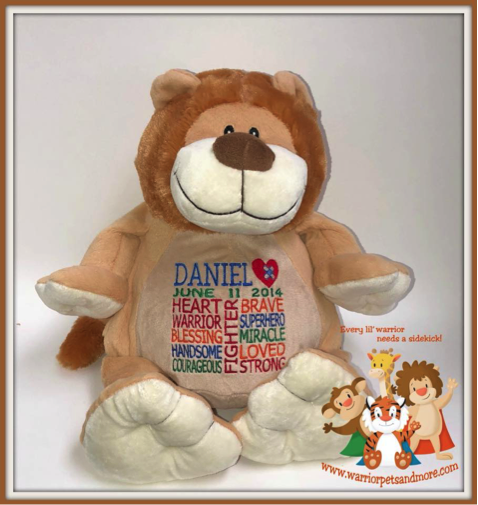 When family members and friends of those little heart warriors reach out to Warrior Pets and More, they know that a personalized Embroider Buddy® with the little one’s name and a custom message will bring comfort. Buddies are the perfect companions to help a child through difficult procedures, hospital stays, and long doctor’s appointments. 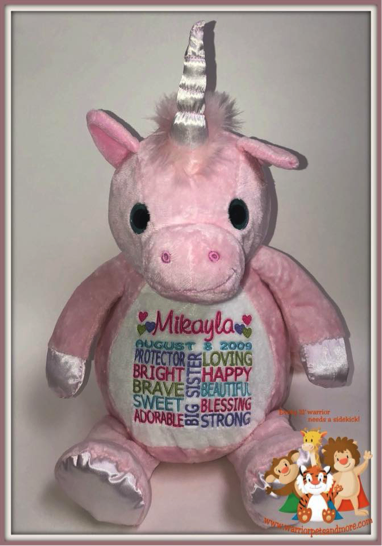 Embroider Buddies personalized by Warrior Pets also make comforting companions for children fighting other illnesses and syndromes like cystic fibrosis, autism, epilepsy and many more. 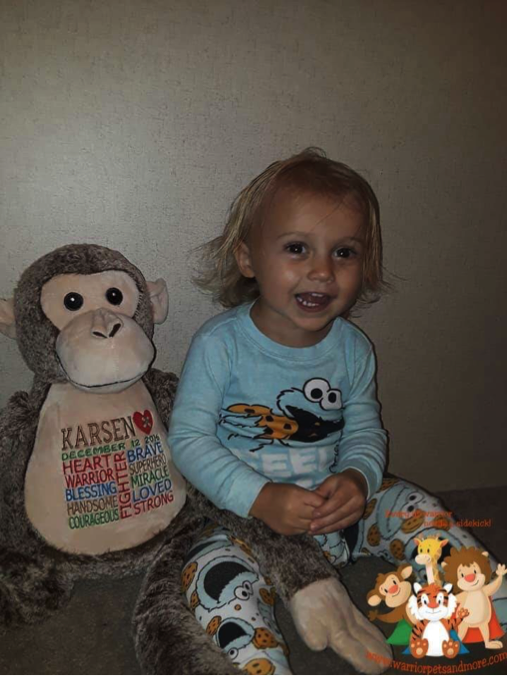 So, on this week of giving, if a child in your life is fighting a serious illness, consider reaching out to Sandra Huss of Warrior Pets and More, for a unique, personalized gift. If you’d like to give to research instead, consider making a donation to the Children’s Heart Foundation.